Bobby Shuttleworth had a great game against D.C. United and shocked some people once again. When Minnesota acquired him I don't think that he'd be their starter, but he hasn't been awful this season at all. Shuttleworth has been very Shuttleworth for Minnesota, impressive at times and not impressive at others. This week Shuttleworth was able to beat D.C. United, allow zero goals, and record five saves in the win. The best defender this week was Aaron Long of the Red Bulls. Though he didn't factor in on offense Long was able to deny anything that the Impact tried to get going. Anthony Jackson-Hamel, Michael Salazar, Dzemaili, and Tabla have all been impressive at different time this season and none of them could get anything moving forward against Long and the Red Bulls defense. Long is an extremely impressive defender and along with some of the other youth defenders on the squad their team could be very good in years to come. When I saw that this was Farrell's first time on the Team of the Week list I was surprised. Farrell has so much talent and is this the decline of play in him? Does he need a change of scenery? Or does Farrell need help around him? I'm not sure but I want him to succeed. Farrell this week was part of a Revs backline that shutout the Union 3-0. Farrell was also the best defender on the field for the Revs as well. Farrell was able to get down the field and assist on Kei Kamara's 85th minute goal. Coming off of a great Gold Cup with Panama, Murillo started and had a great game for the Red Bulls over Montreal. NYRB have changed their formation to a three man back and Murillo started at the right-back position. Murillo was able to stop EVERYTHING and I mean everything from the young Tabla and Dzemaili for Montreal. Murillo also scored his first MLS goal in the 58th minute and put his team up 2-0. Nick Lima right now sits second in Rookie of the Year voting for me but this guy is the real deal. Lima can play both fullback positions, and maybe even a little midfield. San Jose this week beat Colorado 1-0 and the defensive performance from Lima was been phenomenal. Lima slowed the weak attack of the Rapids and was able to flourish. Lima also was able to score the lone goal of the game in the 59th minute. The Red Bulls has been on a tear lately and you can't help but realize its due to their formation change and the play of Daniel Royer. Royer scored two more goals again this week in the Red Bulls 4-0 win over Montreal. Royer set up and scored a 23rd minute penalty kick to set the Red Bulls up 1-0. Royer also finished the game up with a 89th minute goal to end the game at 4-0 for the Red Bulls. Minnesota United has not had a good season. But when looking at players like Christian Ramirez and Kevin Molino you can't knock their production. Kevin Molino had a great week and which he assisted on Ramirez's 7th minute goal and then on Abu Danladi's 40th minute goal. Molino has a phenomenal acquisition for this club and has helped the transition for some of these former NASL moving forward into MLS. The Asian sensation had a great week against the Philadelphia Union. Nguyen was able to assist on two of the three goals scored by the Revs. Nguyen assisted on Kei Kamara's 85th minute goal and then again assisted on Juan Agudelo's 89th minute goal. The Revs have been on and off all season long but when Nguyen is passing well then everyone else is going to produce. Nguyen has a great passing ability that is incredible when on full display. 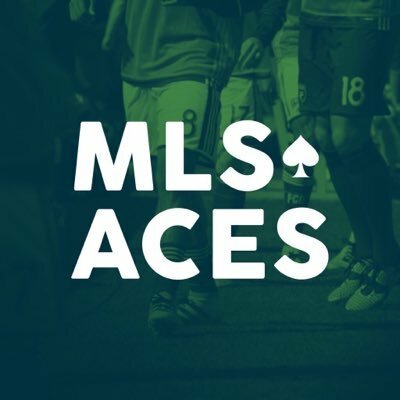 I feel like its been a while since Valeri has made the MLS Aces Team of the Week. But one of the best DP's in history is back and the Argentinean midfielder did it in a fantastic way. Valeri was able to score a great goal to put Portland up 1-0. After Houston tied it up with a goal in the 37th minute, Valeri was able to assist on a Sebastian Blanco goal to put Portland up 2-1 at the time. Everyone was very happy to have Fredy back in MLS before the season started. I don't want to say he has been disappointing but to me he has been a bit. This week we witnessed the Fredy that I think he is capable of being every single week. Fredy Montero scored his first goal in the 49th minute against Dallas to put them up 2-0. Montero scored his second goal of the day in the 67th minute to put Vancouver up 3-0. Montero was able to add an assist on the day be assisting on Bernie Ibni-s first MLS goal. Giovinco had a Giovinco-esc week in Toronto's 4-0 win over NYCFC. Giovinco scored two FANTASTIC goals in the 32nd and 67th minutes. The dude is unbelievable and when healthy far better than most in MLS. Giovinco is what Golden State is to the NBA... unfair. This tiny little Italian will give TFC a shot in any game that they play. Giovinco also had an assist this game on the goal scored by Raheem Edwards in the 82nd minute.